Comments Off on Final Fling for Jacob and what a performance. Final Fling for Jacob and what a performance. 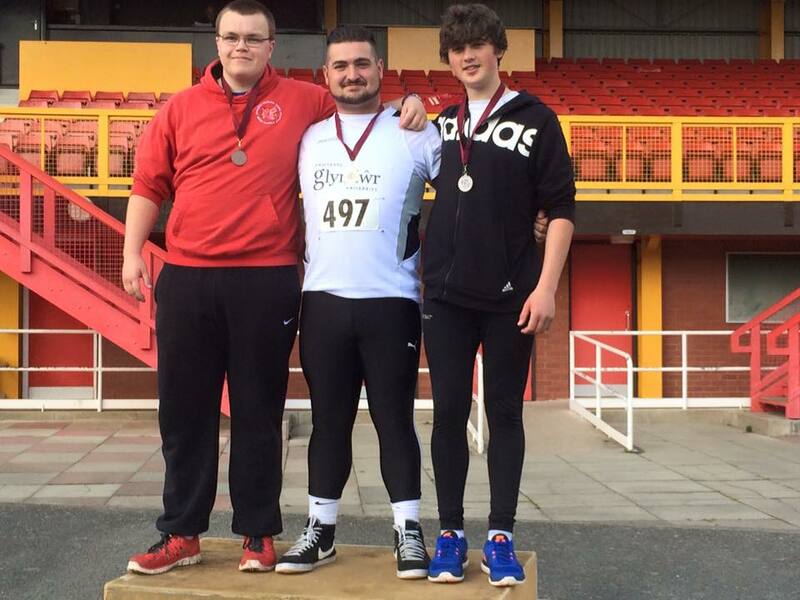 There is a very fine group of young Hammer Throwers emerging at Blackburn Harriers under the watchful eye of their Coach – Michael Hitchon the father of Olympic Hammer Thrower Sophie Hitchon as well as some very good young athletes in Discus, Javelin and Shot Putt under their Coach Jim Kerrigan. U17 Jacob Roberts is one of those athletes who has come on tremendously in the last year. His final competition of the year saw him travel down to the Wrexham Fling meeting where he entered himself into the 5kg and 6kg Hammer events and what a way to end the season. 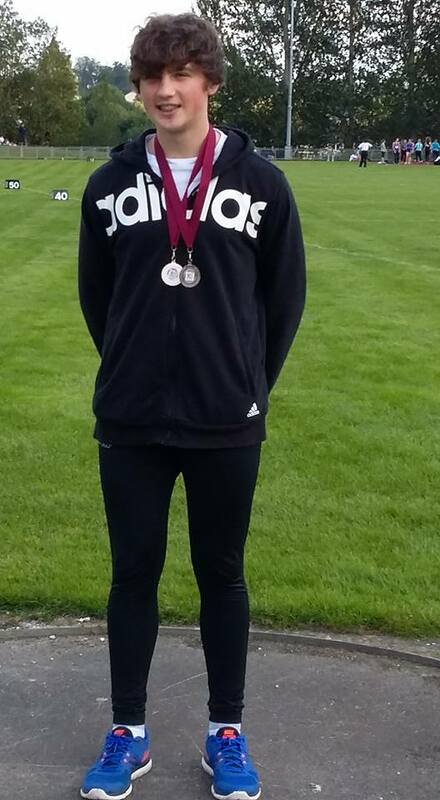 In the 5kg event he came second with a new PB of 61.27m which takes him up to 7th place in the National Rankings and means that since October 2014 Jacob has added 18metres to his distance and set a new Club Record yet again. One hour after achieving this, he entered his first 6kg competition throwing 49.60m for 2nd place and beaten by just a metre for first spot. 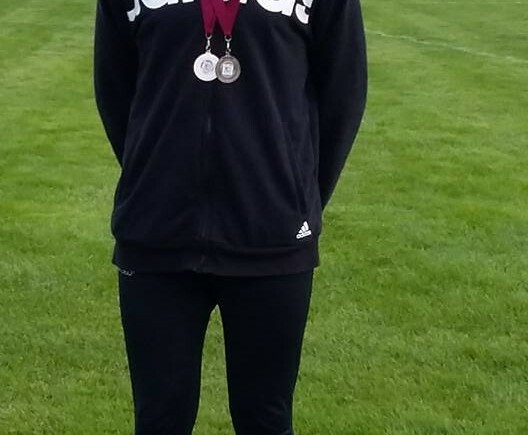 A delighted young athlete, Jacob told the Club that “I went to Wrexham final fling throws competition last weekend to represent Blackburn Harriers in Wales. I was hoping to achieve a throw over 60 meters (5 kg U 17). I was over whelmed when my 5th throw was measured at 61:27 meters, giving me another club record and placing myself in UK athletics top ten ( over 60M) and moving up to 7th in UK rankings. I also entered the under 20’s competition , came second with a throw of 49:60 ,was happy with throw first comp with 6kg hammer ( something to work on). It was a great atmosphere as made welcome by everyone at Wrexham throws, I would recommend it to any body to go great fun at the end of the season. I would again like to thank all at the club who has given me well wishes and encouragement this season especially when injured at beginning of season( thankfully not as serious as I first thought). Finally wish to thank my coaches Mick and Ian who have been patient with me and offered excellent advice and I hope I can make them and the club proud next year after a hard but productive winter training”.